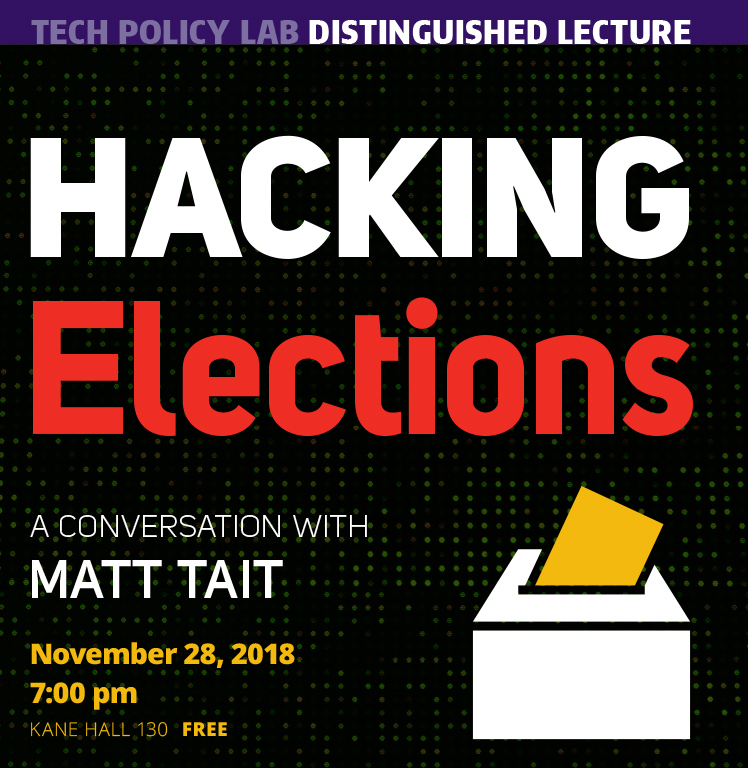 Please join the Tech Policy Lab for a conversation with Matt Tait on hacking elections on Wednesday, November 28th at 7:00 pm in Kane Hall. Join the Tech Policy Lab for an interview with cybersecurity expert and former British intelligence officer Matt Tait on foreign interference with the midterm elections. Tait helped detect Russian interference in the 2016 election and will discuss a range of topics, including the meddling in the midterms, the status of the Russia investigation, and what can be done about foreign interference in a digital age.